For 50 years, the National PTA Reflections arts program has encouraged students across the nation to explore their artistic talents. PTA Reflections is designed to promote cultural arts in schools, encouraging students to create works of art in photography, literature, visual arts, music, dance, film, and special artist categories. North Star Unit student Seamus Schwaba (Outstanding Interpretation in Literature). Outstanding Interpretation entries have advanced to the National PTA competition in Alexandria, Va., for national level judging which is currently underway. The Minnesota PTA Reflections arts program is chaired by Lori Ortega of Winona. This gallery exhibit is free and open to the public throughout March during office hours and while classes are in session. For more information about the National PTA Reflections program and Minnesota PTA, visit mnpta.org. Learn more about MCA at mca.smumn.edu. 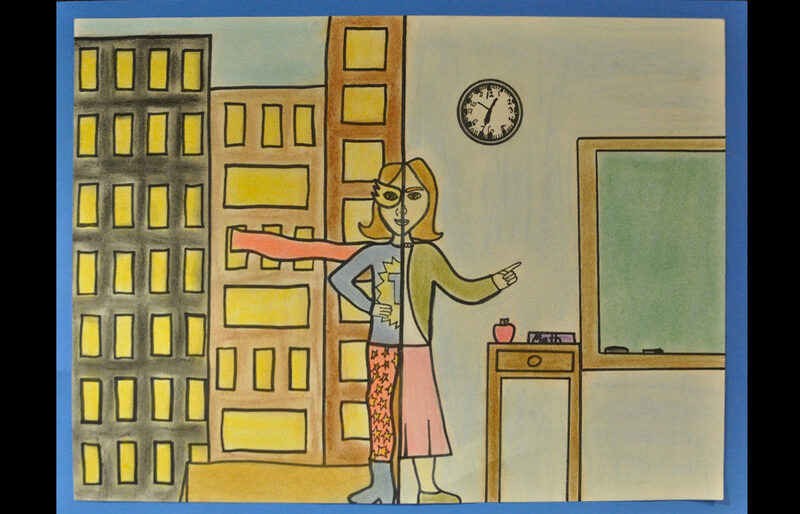 Photo caption: Artwork of Adele Jacobson, seventh-grader from Winona, Minn., who was awarded first place in Outstanding Interpretation in Visual Arts and is going on to compete at the national level.